I’m writing this post with a fuzzy head and foggy brain. For the last two weeks Alex has been waking with night terrors, and slowly but surely the sleep deprivation is starting to get to us. On the first night it happened, we were actually in Wales visiting the in-laws and Alex had a bad chest infection and struggled to breathe, so I put down him waking just after 1am and being wide awake until nearly 5am to his illness. However, in the days that ensued, and despite his infection getting better on antibiotics, he’s continued to rouse. The pattern is either for him to wake up screaming and shaking and obviously terrified of something, and subsequently being awake for prolonged periods, or screaming and shaking for a few minutes, not quite or not at all waking up, settling himself eventually only to wake-up in the same state in ten or twenty minute intervals throughout the night. Alex is still sleeping with us in our bedroom, so John and I stir from the smallest of whimpers – though this is actually hugely noisy and quite scary to witness – so to say that we are knackered is the understatement of the year. Strangely, Alex seems to be fine during the day and unaffected by the considerable sleep deprivation he suffers, too. At first it didn’t even occur to me it could be night terrors. I remember Becky going through the same, but I believe she was quite a bit older, and I can’t recall that it was quite as dramatic. I thought it was a combination of illness and teething, but despite giving him Calpol at night, it continues. And I don’t think teething would be causing him quite so much distress. So judging by the sheer panic in his voice and cry, as well as having read up on it, I do believe that it’s night terrors. He is inconsolable, and picking him up and trying to calm him actually makes it worse – it only works once he’s settled himself, at which point John and I are wide awake anyway. Everything I’ve read on various advice sites and forums states that it’s best to leave them to settle themselves and not pick them up, because this can scare them further and escalate the situation, and that does match his symptoms. But it goes against your instinct to not pick up your crying and distressed baby. I’m at my wit’s end. 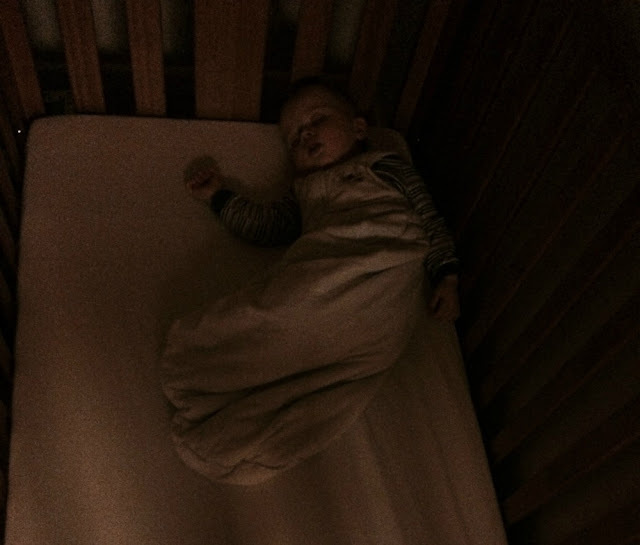 Not only because I’m not used to the sleep deprivation anymore as ever since he was tiny he’s spoilt us with sleeping really well – bar the occasional rubbish night - but more importantly, because it’s actually horrible to see your baby in this kind of state. I really hope it’s just a short phase and will pass soon. If anyone has any tips, please share them, I would love to hear from you!